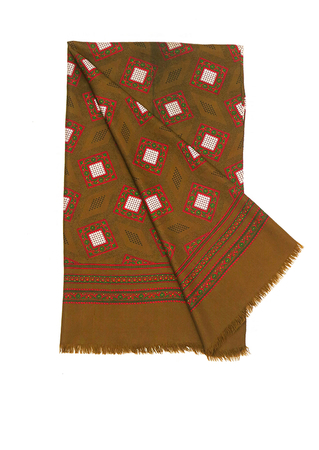 Large rectangular scarf in brown with a series of black diamond shaped dog tooth checks and aubergine dog tooth checks encased by rich pink & green paisley style patterned frames. 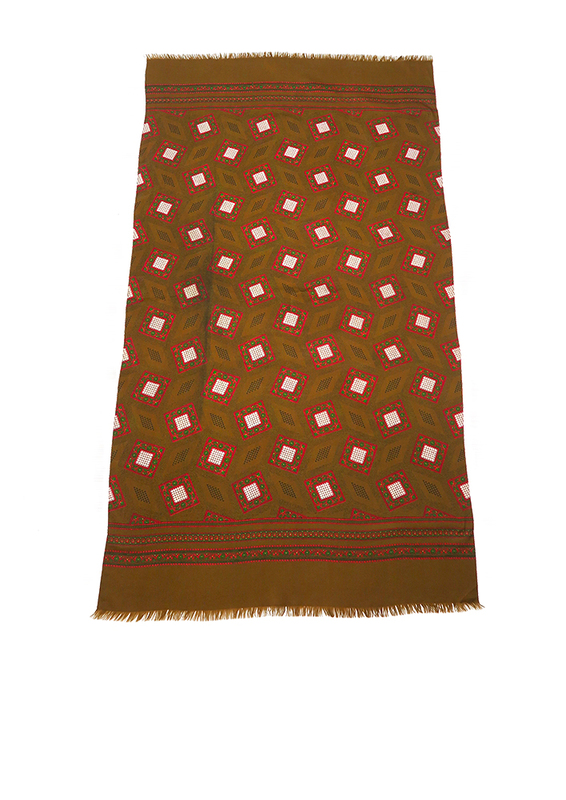 The scarf is bordered by paisley braided stripes in the same colour way and also features subtle fringe ends. 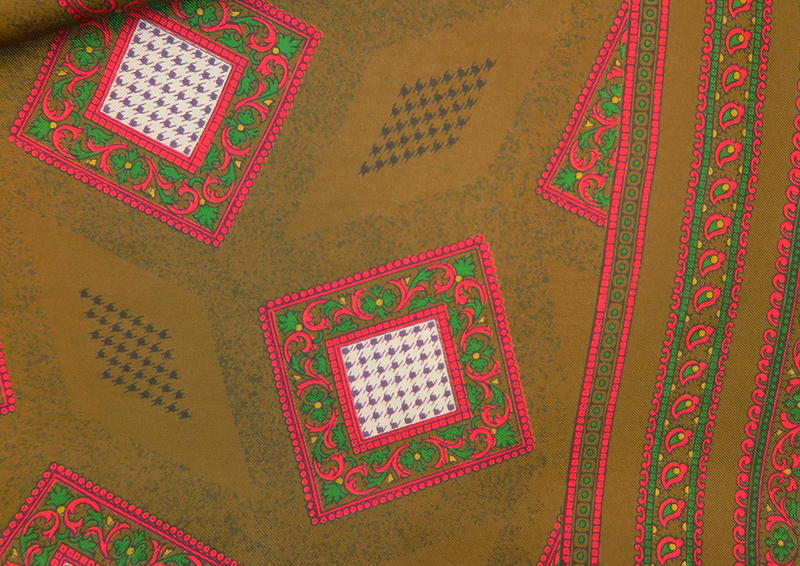 Please note that there is a slight print defect in one part of the scarf and a picture has been provided to show this. We have reduced the price from £18 – £14 to allow for this. Although there is no fabric label, the scarf has a satin-like feel to it and is overall in great condition – a timeless vintage classic!